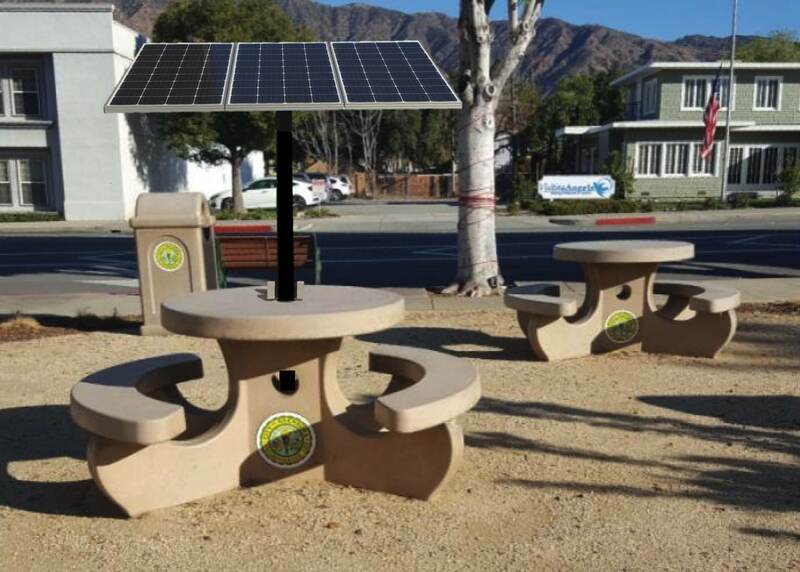 Solar power is now available to energize outdoor tables and eating spaces. 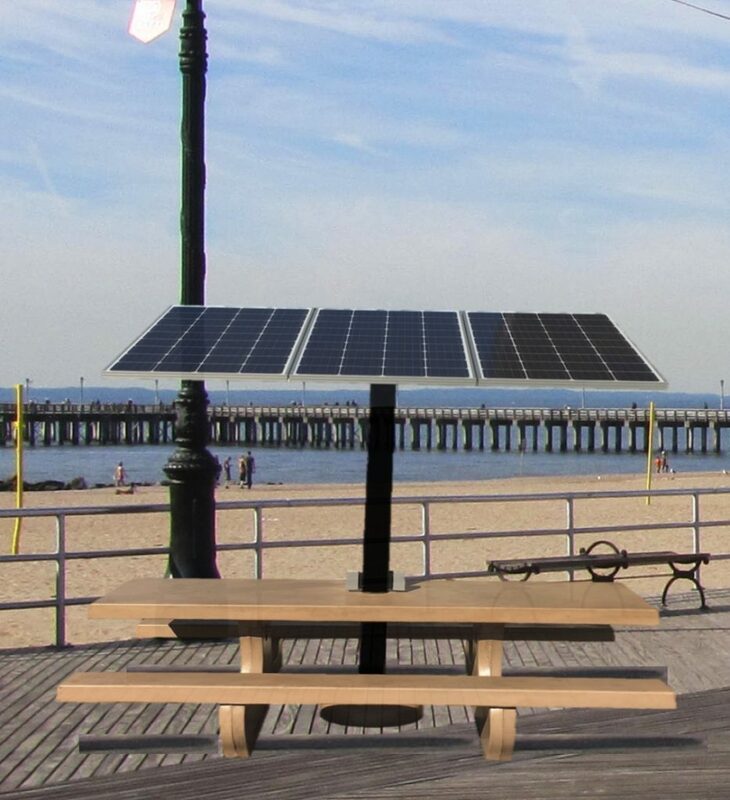 The ShadeCharger(TM) module turns a standard picnic table into a solar-powered workstation. 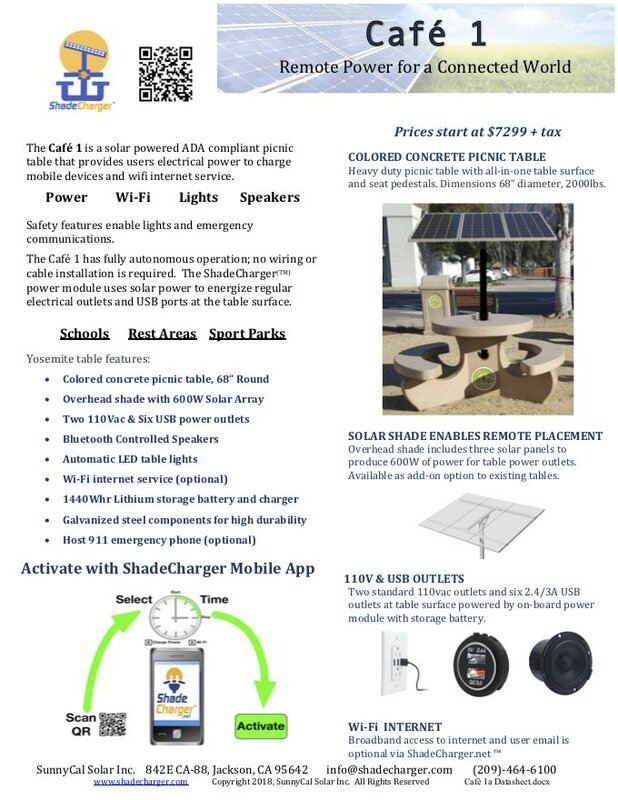 110v AC power and USB outlets deliver solar power to the table surface without need for utility power. The overhead solar shade structure contains all the electrical functions. Power is available at the table surface using standard outlet connections. Pay-Per-Use power option is available for public installations. 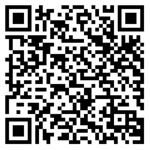 A simple scan of the QR code at the outlet will trigger communication to enable the outlet power. Rental rates are programmable on a table-by-table basis. 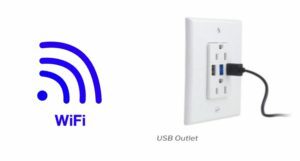 Wifi hotspot service option is available at some table locations. 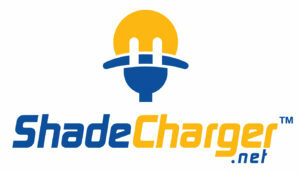 Users can pay-per-use, or subscribe to monthly access at ShadeCharge.net. 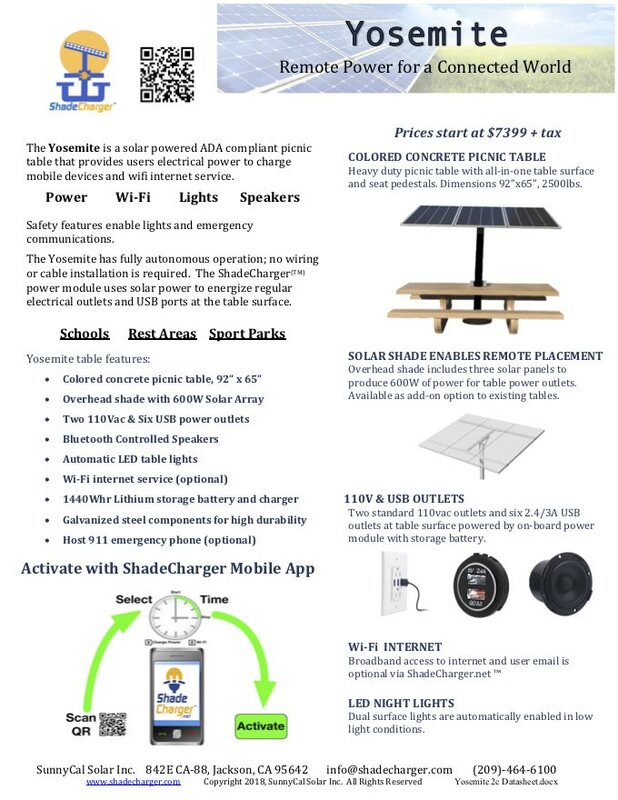 The ShadeCharger is available as a complete table or as an add-in to an existing heavy duty table weighing at least 1100lbs. 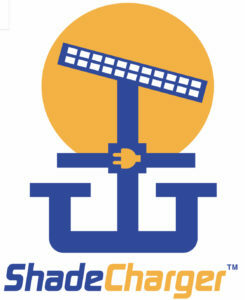 The ShadeCharger Module contains a long-lasting 1440Whr lithium battery, charged by a 600W solar array. 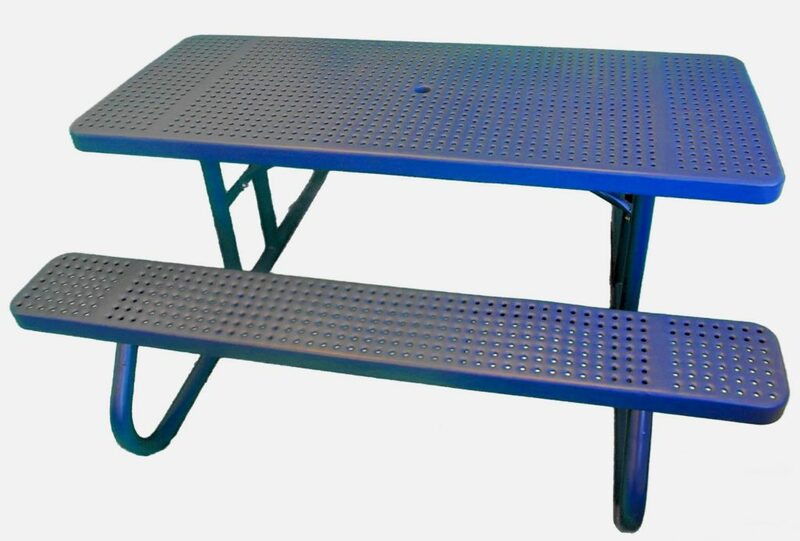 Each table can support a nominal load of 600W of load power. Battery power availability is limited by available sunlight and load duration. 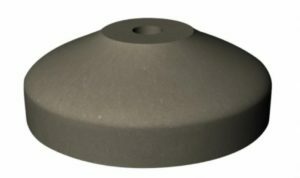 To increase wind tolerance, the shade support rests in a weighted shade pedestal below the Yosemite table. Concrete tables come in the standard Sequoia Sand color. 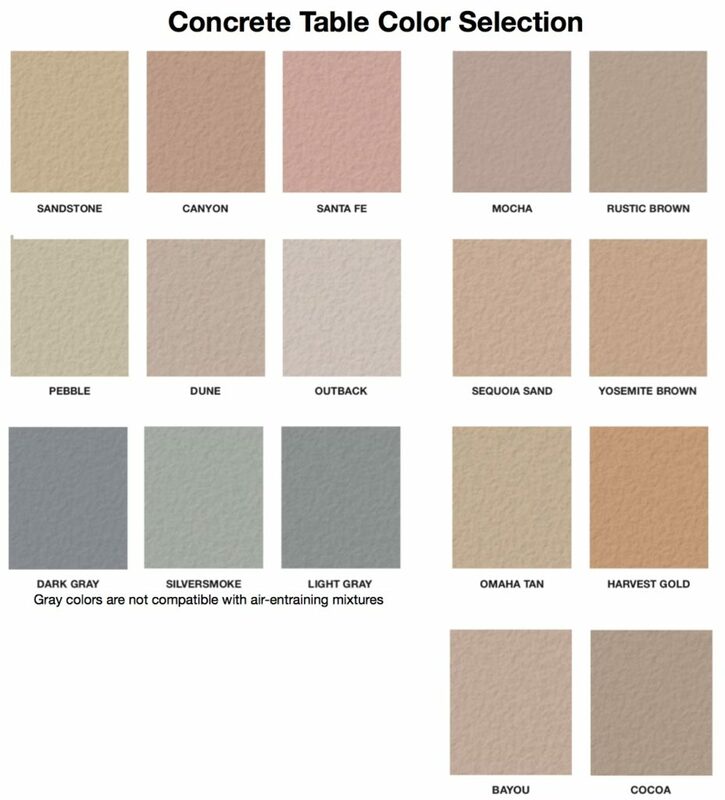 Special order is available in the following colors. 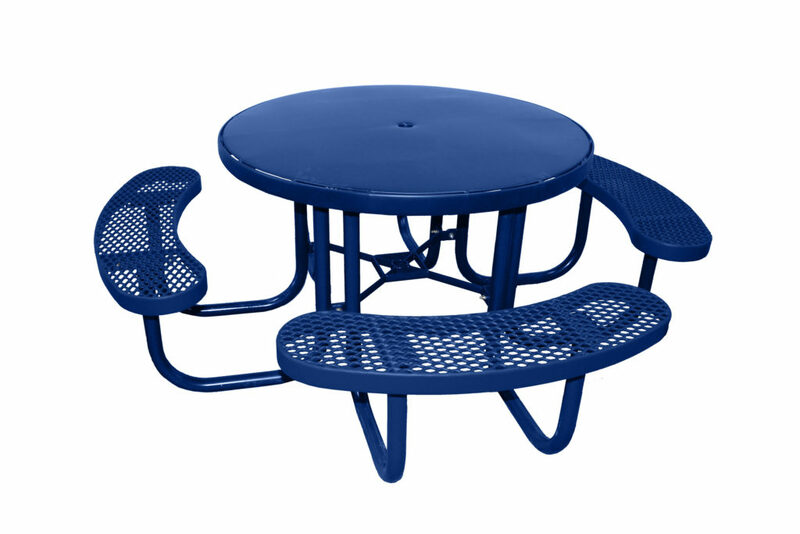 Poly-Coated steel tables are available “ShadeCharger” ready. The standard 8ft. rectangular picnic table can be configured with the larger 3 solar module overhead shade, while the smooth-top 4ft. 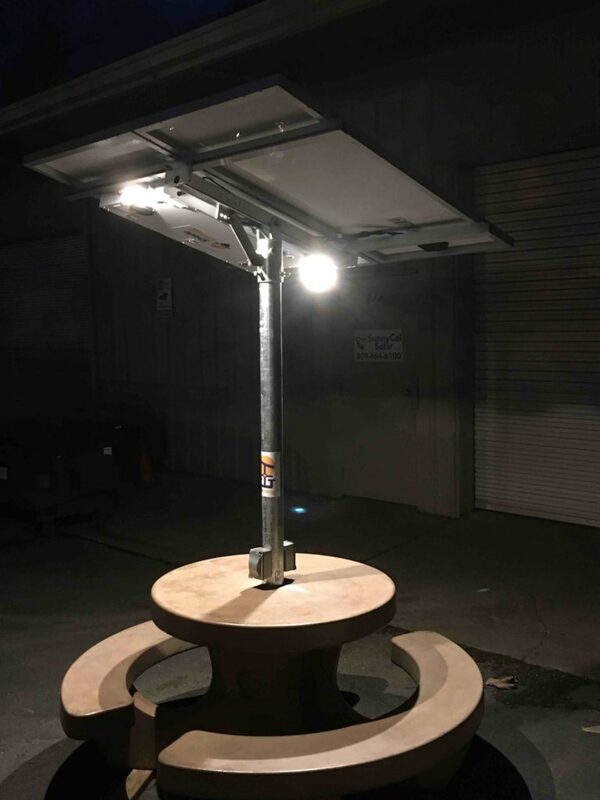 round table can use the 2 solar module shade. Color selection is shown in the palette below.